Choosing a room and the hotel to stay in is a complex task as several criteria need to be considered: price, location, services, kind of stay. Maximilian’s Hotels Group has a portfolio of several hotels in Rimini and Riccione. All the hotels are seafront or really close to the sea, modern, elegant and equipped by both business and family services. Of course, every hotel has different room types in order to better answer your needs. 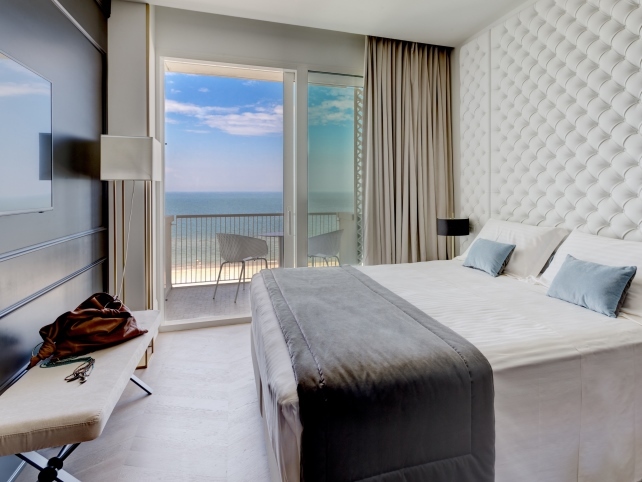 Six type of rooms at Hotel Abner’s Riccione provide you with ample choice but the common trait is that all have a fabulous sea view. The entry room is the Classic Room, confortable and with a nice balcony. 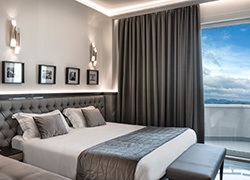 The renewed Prestige and Executive Rooms with sea view; always with a great view and bigger spaces there is Junior Suite Prestige composed of a double room and a single interconnecting room. If you choose Junior Suite Executive you will have the impression of touching the sea with your fingertips. As prestigious alternative you can opt for the newest room, with a great attention to design: Luxury Experience. On our site you can check all the information about the rooms at Hotel Abner’s Riccione. All the four room types of Hotel Feldberg 4-star Riccione are finely equipped. The Comfort room assure the maximum relax, as well as the Superior room that will amplify your well-being. The fine furniture of the Prestige room and the convenience of the Smart room identify the style and attention to the guests’ needs of the hotel. You can get more information about the Hotel rooms of Feldberg 4-star in Riccione. 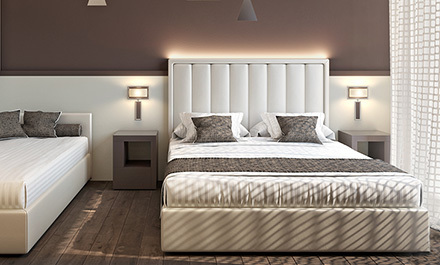 Elegance and style are two of the main characteristics of the rooms at Hotel Tiffany’s Riccione. The Top room of the hotel pretty much describes itself with the name. If you will choose the Deluxe room you will fell the emotion of having the sea at your fingertips, thanks to its wide balcony. 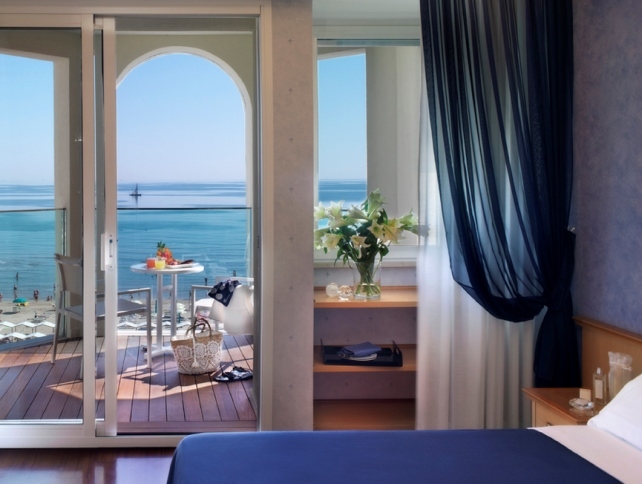 As alternative, you can choose the Superior room with lateral sea view and a balcony on the side. For a quality solution, we suggest the Classic room. You will get every information you might need on the official website of Hotel Tiffany’s rooms. 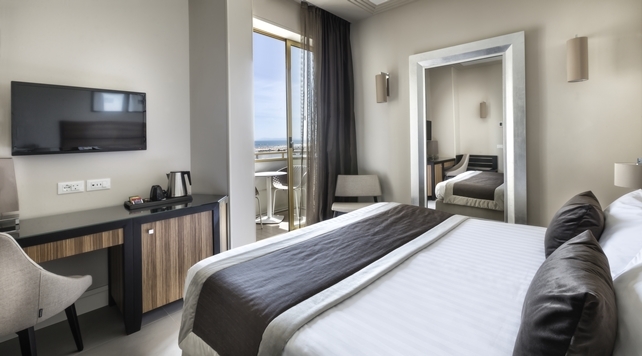 For your stays in Rimini, the elegance of the renewed Hotel Sporting offers you these room types. Welcoming and designed with style, the Superior room offers you every comfort. If you want a more complete beach stay experience you may choose the Panoramic room and its sea view or go for our Deluxe room for a complete Sporting experience that will make you fall in love with the hotel. Check the official web site for more info on the rooms of Hotel Sporting Rimini. Hotel Ambasciatori Rimini means high quality and this is why it is one of the most prestigious hotel in Rimini. You can choose the room that suits you most among Classic, Quality or Superior and get all the relax and services you may need. If you want more, you will sure love the design and elegance of our Deluxe room or you may need more space and then you will want to book the Executive Suite or the Luxury Suite and its refined furniture that allow you to truly live a unique experience in its 40 sq. meters. If you need more information about the room, you can read everything on Hotel Ambasciatori Rimini web site. The last addition to the Maximilian’s Hotels group is already one of the crown jewel. 116 rooms that allow you to relax and enjoy the comfort that make Hotel Continental Rimini a 4-star hotel among the best in the city. The Quality room ensure the perfect compromise between elegance and convenience while the Superior room and the Panoramic room may surprise you with an amazing sea view. This way your sea holiday or business stay will be a wonderful adventure. And, if you want to make unique and special every moment at Hotel Continental, choose the Suite with panoramic view at 360° over the Rimini Riviera and Romagna. Check the official site for all the info on the room at Hotel Continental Rimini. Hotel Continental is a 4-star hotel that has great quality to offer you. Her rooms are functional and elegant, and the majority of rooms that feature a sea view. On the official site you can learn more on the rooms of Hotel Continental Rimini.